Recently, I went on a girl’s trip to Chicago. 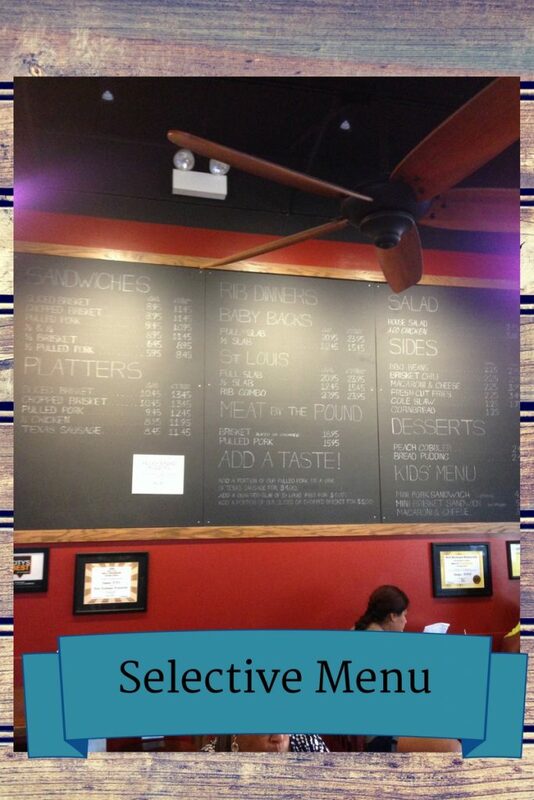 I always check out the area for great food recommendations when I travel. 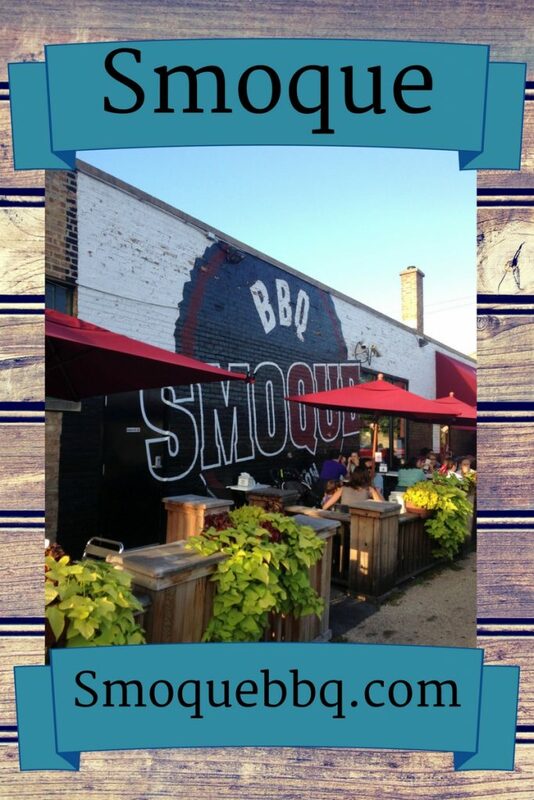 I had heard about Smoque BBQ some time back and decided it was worth a try. After talking my friends Kendra and Stephanie into trying it out. We Ubered our way down there for dinner after arriving at our hotel. 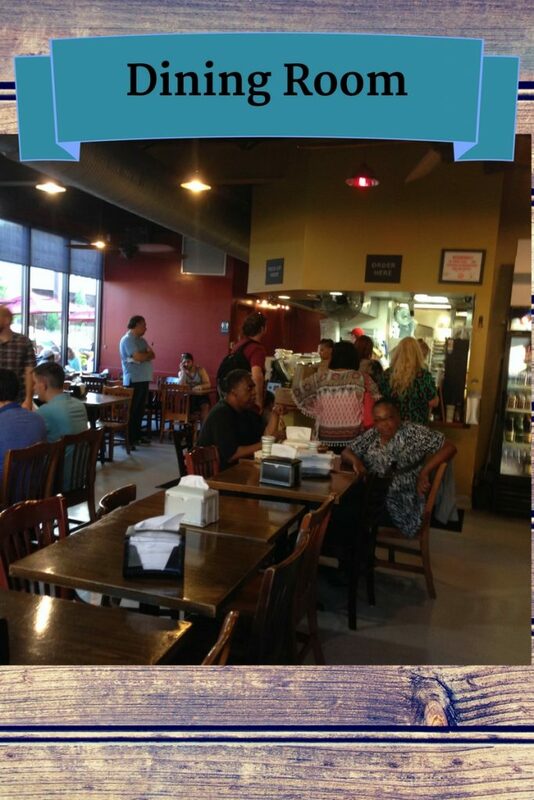 Smoque is a BBQ place that has been featured on Triple D and from plaques on the wall it’s a local favorite. The website says, “It was created by five regular guys who happen to be passionate about food in general and BBQ in particular.” My kind of guys! We arrived at dinner time and the place was so busy I decided not to ask for an interview. 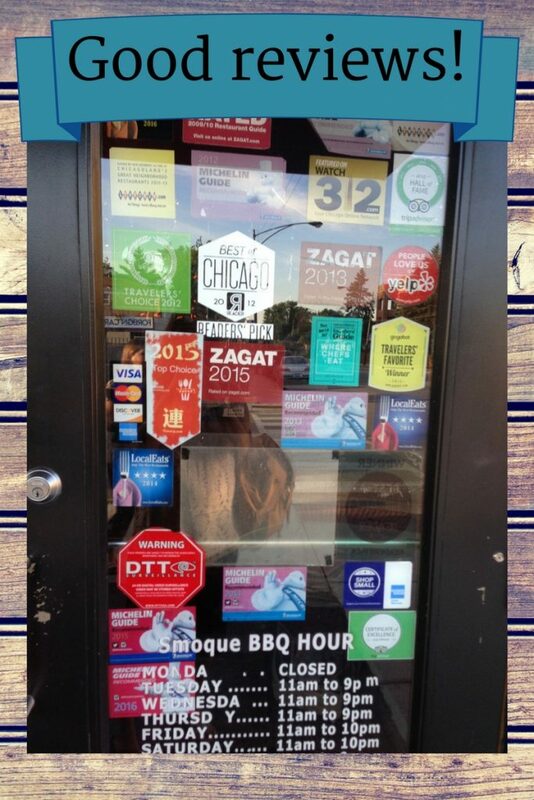 It’s a small neighborhood joint in the Irving Park area that looks like it does a ton of take out. The place isn’t that big but we saw line after line of people coming in. 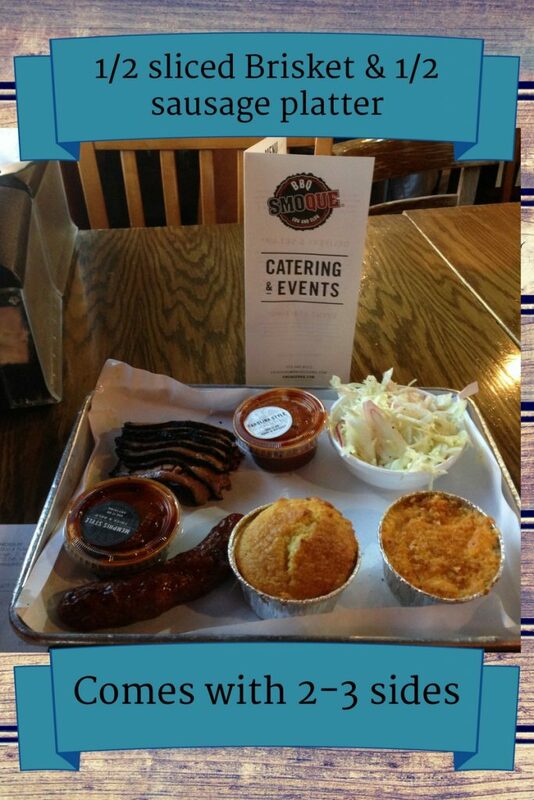 You can order Brisket, Ribs, Chicken, Sausage, Pulled Pork and of course the sides. The menu isn’t large but when you do a few things really well you don’t need a lot on the menu! Right? 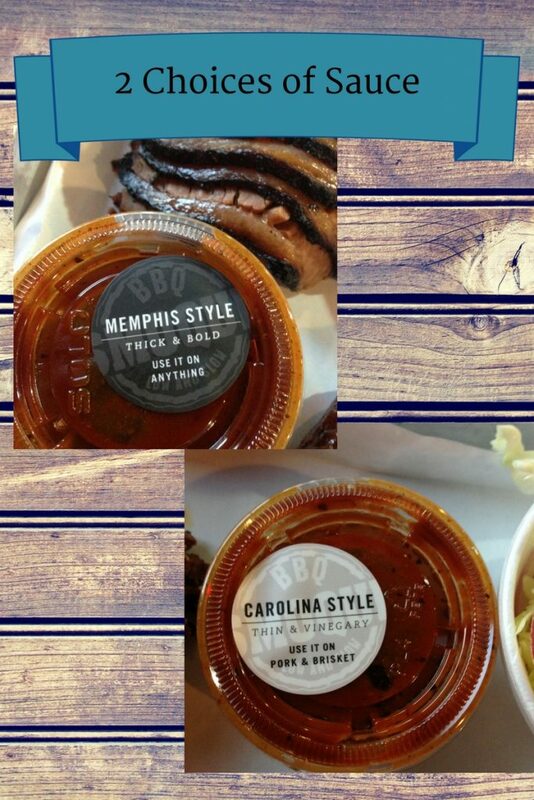 When you order you get two kinds of sauce…Memphis Style and Carolina Style. We each ordered ½ and ½ platters but, honestly, we could have split 2 between the 3 of us. The portions are better than average. I ordered the sliced brisket and sausage. You’ve got to love a good brisket! I’ve had it before when it was too greasy. This was cooked to perfection and fall apart tender. My friends both ordered shredded brisket and shredded pork. We all had the cornbread and mac and cheese. The MAC is one of the better side items in my opinion. I had slaw as well and they ordered baked beans. Overall, we thought the beans were a bit tart like maybe there was too much cider vinegar on them. I felt the same way about the slaw although it was very fresh! They definitely made it from scratch. 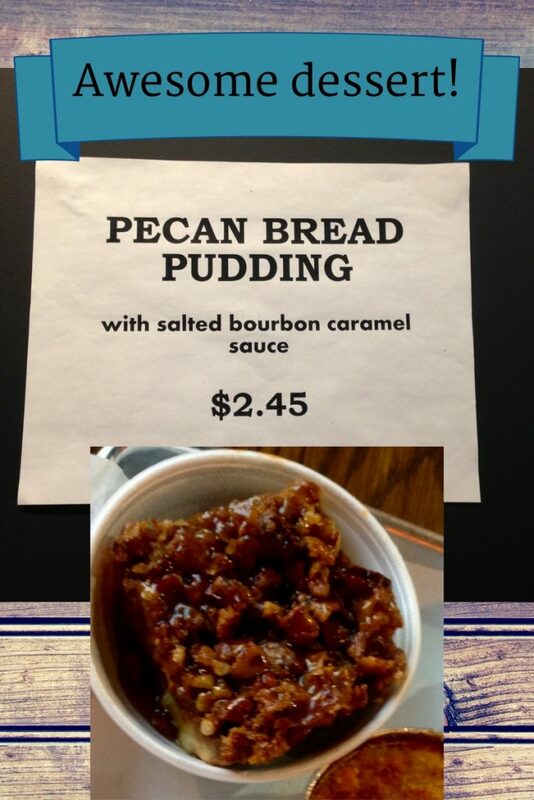 The Pecan Bread Pudding with a Bourbon Caramel Sauce was amazing! I tried some of Kendra’s because I didn’t order dessert. I didn’t think I was going to be able to finish one of my own. There is also a peach cobbler if you prefer. Quote from their website, “We’ve worked hard to match the right cut of meat with the right rub, wood smoke, sauce, and cooking technique.” And from what I understand they like to cook it low and slow. They actually have a 4 page manifesto on their food. (Serious business!) And they have catering with very reasonable prices. They don’t sell alcohol but you are allowed to bring your own bottle or two. We would have if we had known ahead of time. If I’m back in the area I would consider going there again. If you want to check them out here is the contact info. They are closed on Mondays.